What Now for Catalonia and the Euro? The Catalonian Parliament voted for a declaration of independence last week, after the referendum about a week prior. I have to say that the turnaround in the referendum was low, below 50%, so this whole thing was questionable from the beginning. But, it’s getting harder for separatists. First, the Spanish Prime Minister Rajoi deposed the Catalan President Puigdemont and then the EU refused to recognize Catalonia as an independent state as well as the UK and the US. Now, the pro-independence parties are losing support in the region/(country?) as well. Weekend polls showed that these parties are slipping lower while the anti independence parties are gaining support among Catalans. It’s still close, but it seems like a trend is forming here, as we traders like to refer to all things. The El Mundo published a poll where the anti independence parties would win 43.4% of the votes while the pro independence block would trail with 42.5%. This should be positive for the Euro, because the independence of Catalonia might spark a chain reaction in other regions across Europe. Two regions also made further steps in Italy this week. But, as we mentioned in one of the updates last week, the main drive for the Euro this year has been the idea that the European Central Bank (ECB) would take some action in tightening the monetary policy. 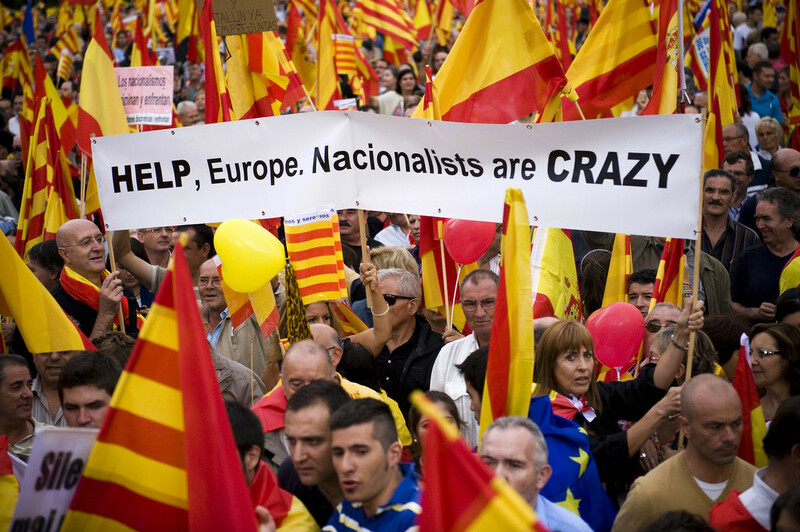 Half of Catalans are getting annoyed with the independence already. The ECB declared last week that it would reduce the monthly asset purchases next year, so that drive is gone. It’s for this reason that I still see the Euro sliding lower, but the ride might not be as smooth. I hope we see another bounce higher in the 1.18-19 region so we can open another sell forex signal after the one we closed last Friday for around 200 pips.